Certified Riggers are an important professional commitment to safely serve the entertainment industry. Braun Productions riggers are ETCP Certified. These individuals have passed rigorous, competency-based examinations. There are currently two divisions of the main ETCP Certified Rigger credential: ‘ETCP Certified Rigger – Arena’ and ‘ETCP Certified Rigger – Theatre’. Each division has its own separate examination. Our master rigger is certified in both! Arena certification encompasses rigging that employs chain hoists and truss systems to temporarily suspend objects from overhead structures in any environment. 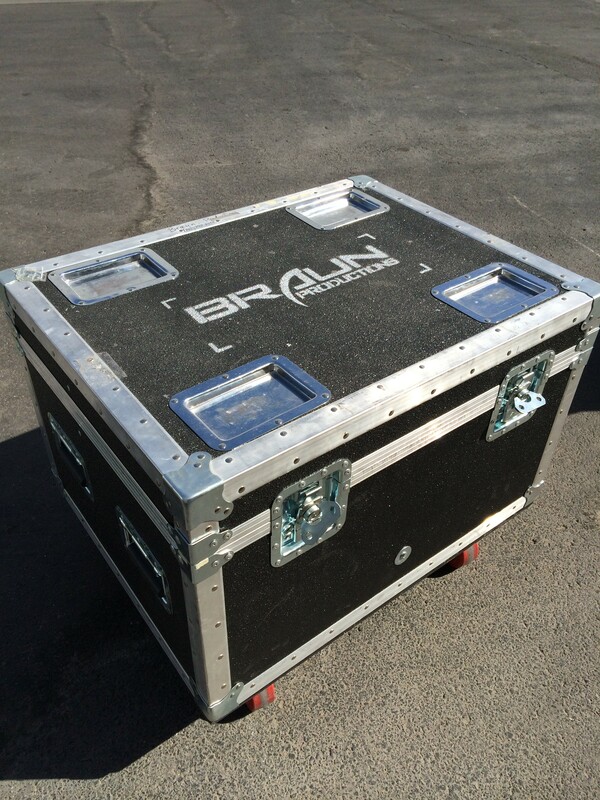 Braun recognizes that these methods and hardware are used throughout the entertainment industry in arenas, convention and trade show spaces and in theatrical venues. However, the principles, practices, and components are consistent and similar in all applications and are different from those used in traditional theatrical spaces. Theatre certification encompasses rigging that employs the use of counterweighted systems, mechanical systems and hydraulic systems, usually, but not always, permanently installed in facilities for the use of theatre technicians in the execution of their rigging responsibilities. At Braun Productions, we can safely fly ANYTHING! This entry was posted on November 21, 2013 by Eric Braun.